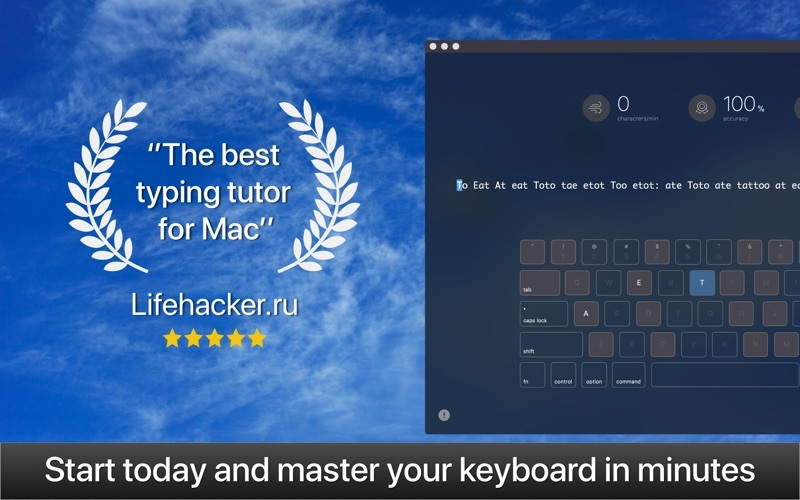 KeyKey is a minimalistic touch typing tutor for Mac. 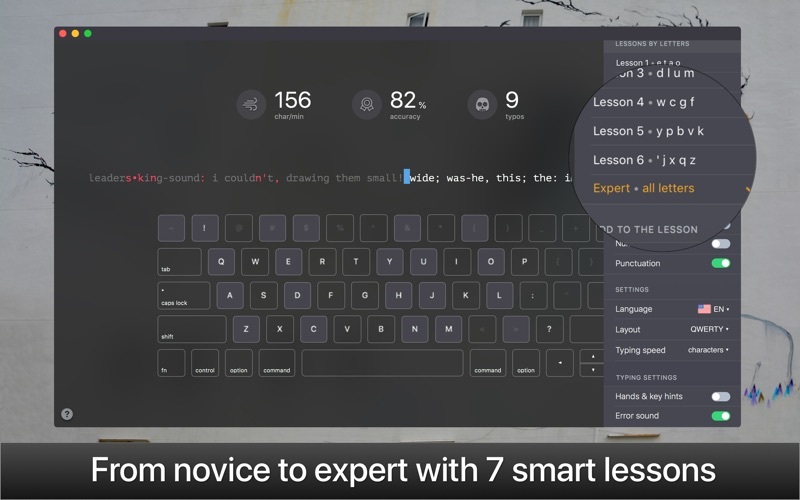 It’s suitable for beginners who want to learn basic touch typing skills, as well as for advanced users seeking to master alternative layouts like COLEMAK or DVORAK. 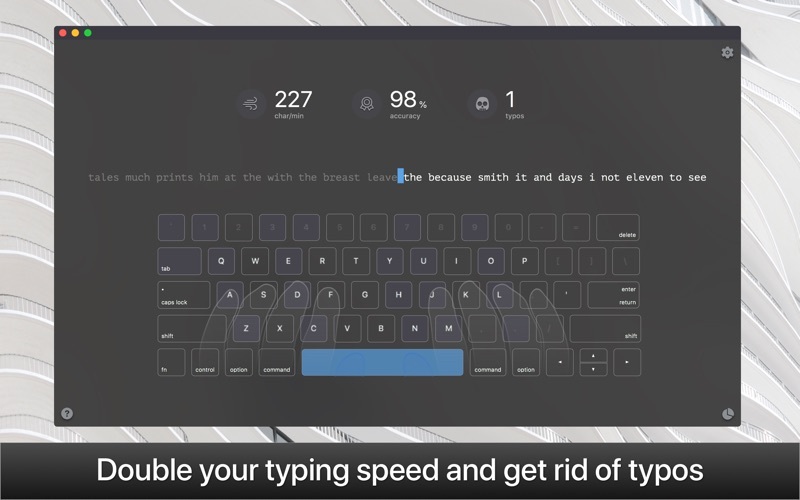 Improve your typing speed today! Touch typing is not about key arrangement, as you might believe. It’s about training your muscle memory, making your fingers remember the micro motions unique to each language. 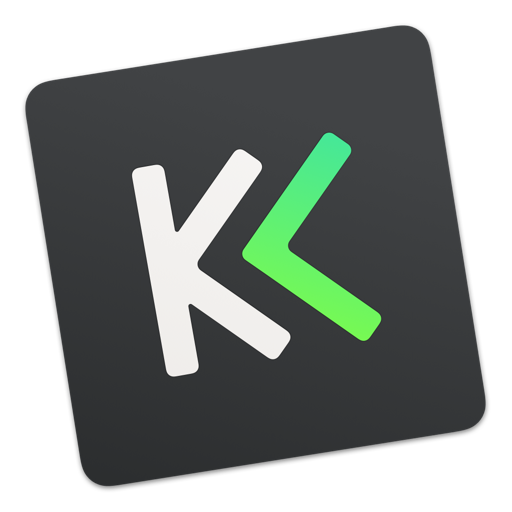 KeyKey knows the most popular letter combinations and words of your native language and utilizes them in lesson generation, giving you extra practice for the letter combinations that trip you up. ◆ Ukrainian: Ukrainian, Ukrainian PC. A big part of typing faster is using the proper finger placement. The app makes this easy with its built-in virtual keyboard. This keyboard models proper hand placement in real time and shows you which finger to use for optimally typing each letter. 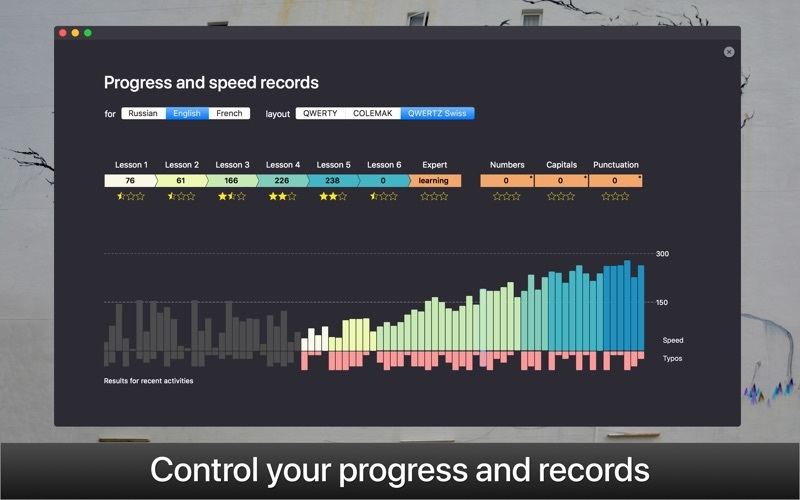 To generate lessons the app digested over 1,000 books and articles for each language. The wordlists for the app’s lessons are derived from these materials, and ranked from common to uncommon. Whether you’re trying to improve speed in your native language or trying to type faster in a new one, you’ll get typing practice with the phrases people actually use. In this version we’ve added lessons in Portuguese (Brazilian), corrected a couple of mistakes in layouts and integrated a profanity filter. There are four keyboard layouts in Portuguese language: Brazilian, Brazilian — ABNT2, Brazilian — Pro and Portuguese. When making a lesson, we use words from modern literature. Apparently, some swear words and obscene expressions made their way into there. That’s why we’ve built-in a filter to get rid of such language. In the previous update we added localisation for Italian language. There seem to have been some translation inaccuracies. Now corrected. The “colon” symbol has been moved to its correct keyboard shortcut "Shift+;" from "Shift+O" where it used to be. • Error correction in French: letter "ê"
With some users, an error occurred when typing the letter "ê". We’ve finally managed to locate this bug and fixed it. • A really rare iCloud sync crash has been fixed. • The app icon has been slightly improved on together with some minor adjustments to the UI. We hope you like the update. If you do — please leave us a review!